This is a descriptive article. For a list, see List of heads of government of Norway. General elections are held every four years. The Prime Minister is by convention the leader of the party with majority support in Parliament. The Prime Minister of Norway (Norwegian: statsminister, literally "state minister") is the political leader of Norway and the Head of the Government of Norway. The Prime Minister and Cabinet (consisting of all the most senior government department heads) are collectively accountable for their policies and actions to the Monarch, to the Storting (Parliament of Norway), to their political party, and ultimately the electorate. In practice, since it is nearly impossible for a government to stay in office against the will of the Storting, the Prime Minister is primarily answerable to the Storting. 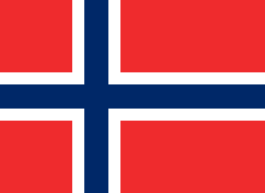 Norway has a Constitution, which was adopted on 17 May 1814. The position of Prime Minister is the result of legislation. Modern Prime Ministers have few statutory powers, but provided they can command the support of their parliamentary party, they can control both the legislature and the executive (the Cabinet) and hence wield considerable de facto powers. As of 2016, the Prime Minister of Norway is Erna Solberg, of the Conservative Party. Unlike their counterparts in the rest of Europe, Norwegian Prime Ministers do not have the option of advising the King to dissolve the Storting and call a snap election. The Constitution requires that the Storting serve out its full four-year term. If the Prime Minister loses the confidence of the Storting, he or she must resign. Odvar Nordli born (1927-11-03) 3 November 1927, served 1976–1981. Kåre Willoch born (1928-10-03) 3 October 1928, served 1981–1986. Gro Harlem Brundtland born (1939-04-20) 20 April 1939, served 1981, 1986–1989 and 1990–1996. Kjell Magne Bondevik born (1947-09-03) 3 September 1947, served 1997–2000 and 2001–2005. Thorbjørn Jagland born (1950-11-05) 5 November 1950, served 1996–1997. Jens Stoltenberg born (1959-03-16) 16 March 1959, served 2000–2001 and 2005–2013. ↑ "NORWAY'S STRUGGLE WITH HER KING." (PDF). The New York Times. 11 November 1882. Retrieved 3 February 2009.